The co-author of the preliminary report on the origins of the banking crisis has said that property acquisition was almost the national obsession in Ireland. 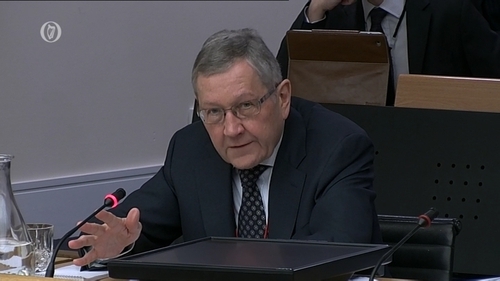 Speaking at the Oireachtas inquiry into the banking crisis, Klaus Regling added that the property bubble ultimately burst with very painful social consequences. He also said that no one was fully in charge to prevent the bubble emerging. A "soft landing" was possible with a different policy mix, he added. Mr Regling is currently managing director of Europe's bailout fund, the European Stability Mechanism. He said the design of the monetary union in 1988 was incomplete, the EU rescue funds were not in place as the founding fathers did not believe a eurozone member would lose market access. He said they did not anticipate a crisis of such magnitude. But he said some other small countries managed within the system so he repeated that homegrown factors were also at play. Asked if the regulator and the Central Bank were not fit for purpose, he said that was another way to put it; nobody was in charge and they did not play the role as forcibly as they should have. He described his report as very critical but said the criticism was spread quite widely. There was not only homegrown factors but the global background of too much liquidity and low investment returns also contributed. Labour Senator Susan O'Keeffe asked about his comment that Ireland was a country with no one in charge. He said alarm bells should have been ringing loud and clearly but if they were, not enough attention was being paid. Asked by Fine Gael TD Kieran O'Donnell about the government's interactions with the ECB, he said he could not answer as he was not at the ECB. He added that his report ended in early 2008 and did not cover the bank guarantee. 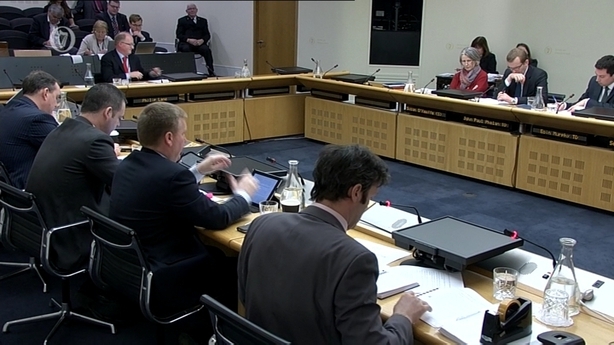 The inquiry also heard from TCD economics professor Philip Lane. He said that the Government should have been building up a "rainy day" fund during the boom. Ireland should have been running a larger surplus because much of the higher tax revenues enjoyed by the government were windfall gains from the boom, he said. Professor Lane said during the period of low interest rates in the mid 2000s, the Central Bank should have been using tools such as loan-to-value and loan-to-income ratios to limit the expansion of credit. He said that these would have addressed the source of instability during the boom. Pressed by Mr Lynch on whether the ECB should have funded INBS and Anglo between 2008 and 2010, Prof Lane said yes on the basis that they were guaranteed by the Irish government and this meant they were solvent. Mr Lynch pointed out that the ECB was forbidden from funding insolvent banks. Prof Lane said he had four meetings with then minister for finance Brian Lenihan during the crisis. These took place in summer 2008, June 2008, September 2008 and January 2009. 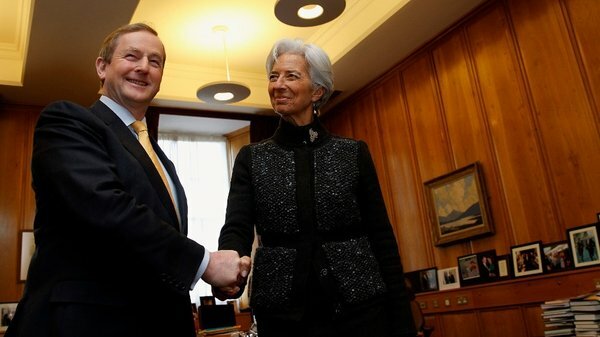 Central Bank Governor Patrick Honohan attended two of these meetings. He said there was no agenda, they were very casual conversations. He said Mr Lenihan had sought out the meeting and was new in the job and wanted to read into the brief. The banking inquiry returns next Wednesday with Boston College Professor Ed Kane on banking policy, systems and practices.